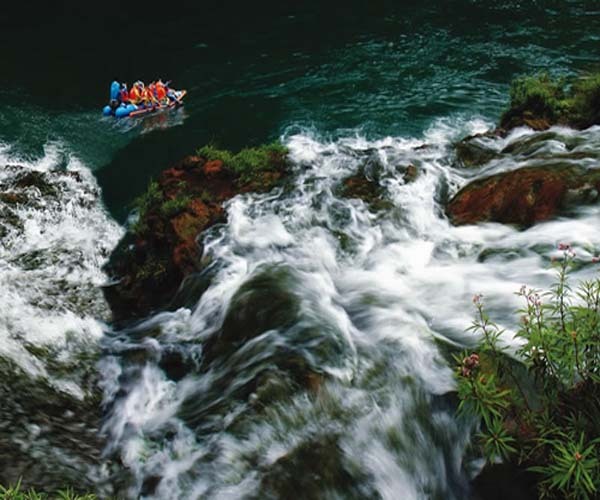 The Maoyan River，There are many high mountains, deep valleys and spectacular waterfalls along the Maoyan River, where is a fantastic place for drifting. Sometimes, it runs wildly over rocks ; Sometimes, it flows peacefully through a narrow gorge. 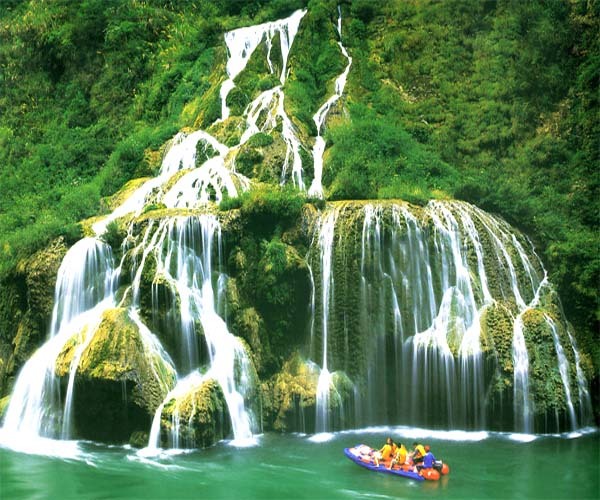 When drifting aong this river, you can see green mountains rise sharply from the valley floor and more than 30 fascinating waterfalls. 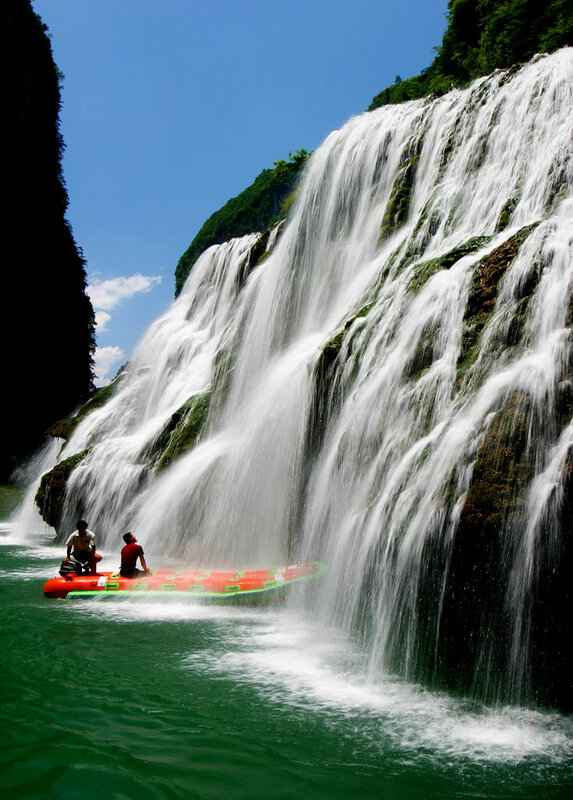 You will find yourself have enough freedom to be yourself when canoeing in the river. 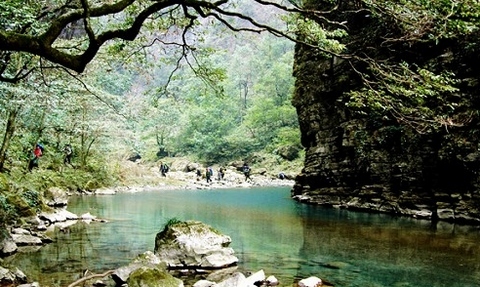 The Mengdong River，Another notable river for drifting is called the Mengdong River that has won the title of " the number-one drifting in the world", nearly 40 minutes drive of downtown Zhangjiajie. Nestled among steep and verdant mountains, it is an ideal place for retreat, flowing through a primitive canyon with towering limestone cliffs. 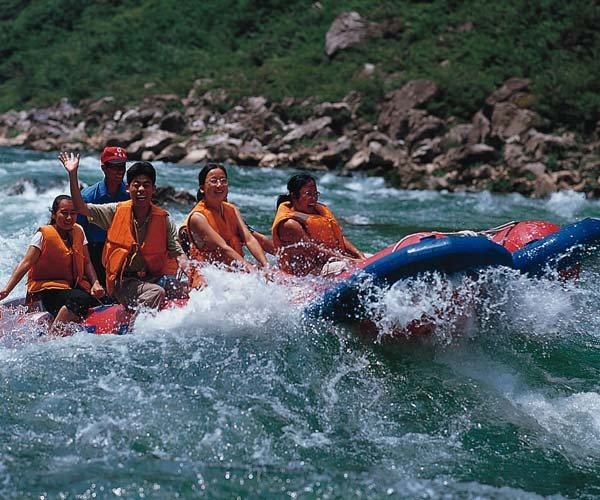 Rafting here usually takes you 3 hours, ending at Furong town that is well preserved with old streets and wooden buildings, used to be named "Wangcun" until a famous movie entitled "Hibiscus Town" was filmed there. It is really worth visiting.